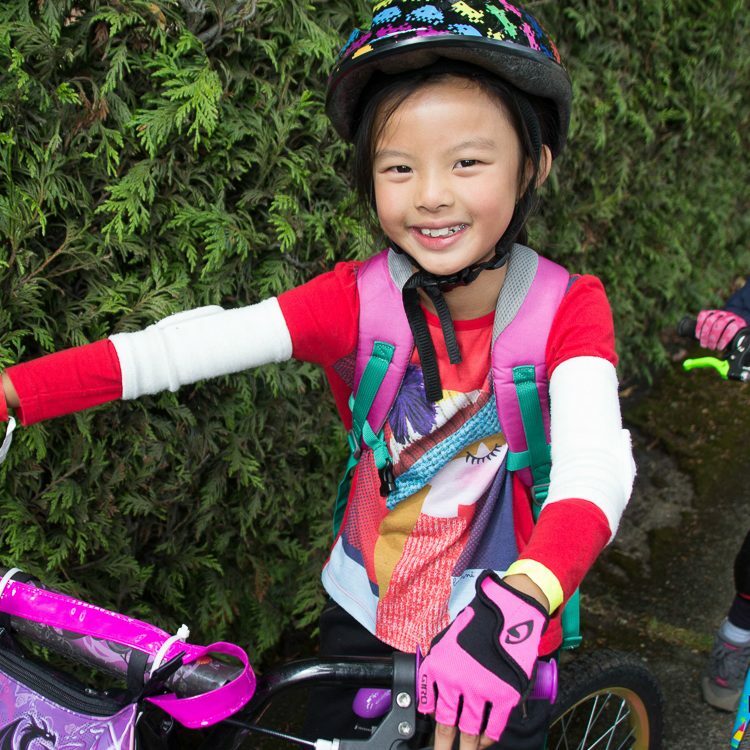 This program is for beginners who are able to bike confidently without training wheels on the bike that they will be using at camp. Emphasis is on biking basics including braking, steering and other skills required to ensure enjoyable and safe riding. Participants practice biking safety and play games designed to boost their cycling confidence. Each participant will pass an on-site evaluation prior to departure, and the camp will be split into two different level-based sub-groups. Riders explore UBC campus and parks earlier in the week, then move on to Pacific Spirit Regional Park Trails. Off-bike group games in the park or forest are included each day. Note: a well-maintained bike and helmet are mandatory equipment for this camp.